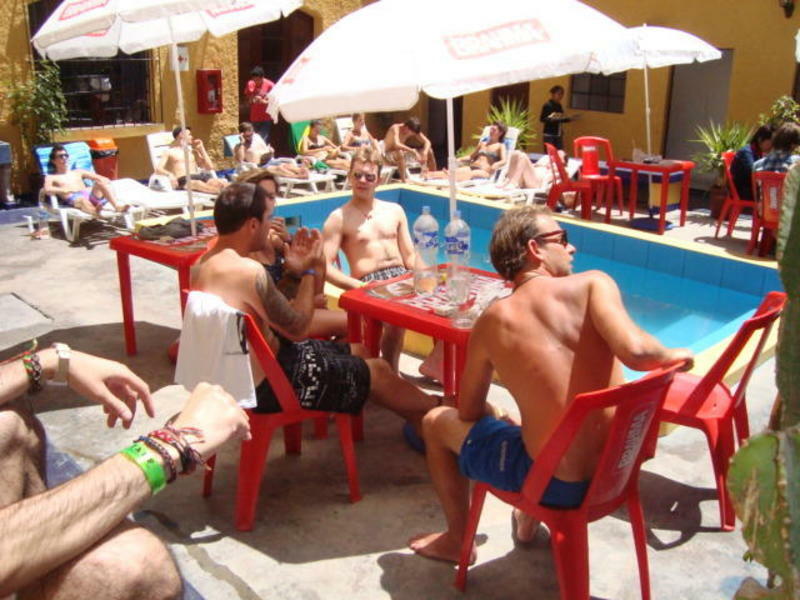 Wild Rover is normally famous for its legendary parties and Wild Rover Arequipa is no different. Not historically known for its parties Arequipa has changed a lot in the last 5 years and is now has the 2nd best nightlife in Peru. We also have a swimming pool and numerous different sunny patios and terraces where you can enjoy the year round summer in Arequipa. Below are some of the reasons to book Wild Rover Arequipa. Our comfy beds with specially made warm winter/summer duvets and soft imported pillows give you the perfect bed to sleep in. 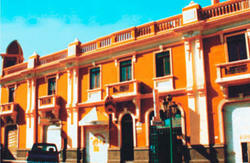 Arequipas most centrally located hostel. Wild Rover is located two blocks from the main square allowing you to easily explore the attractions of Arequipa or just stumble into the middle of Arequipas nightlife which is a half a block from the hostel. * Security on the doors 24 hours a day so you dont have to face the prospect of sleeping on the street. We have welcoming and friendly English speaking staff selected for their ability to have a good time and make all our guests feel welcome. Wild Rover is famous for its legendary parties, with an unbeatable atmosphere you can be assured of un-forgettable nights even if you may not remember it all the next day. With activities and drink specials organised daily, we aim to keep you entertained at all times. *Day Bar - Work on your tan and chill out by the pool sipping mojitos or cold beer. *Night Bar - Our Authentic Irish Bar serves yummy munchies and filling main courses to suit backpackers missing a taste from home, all served with the most affordable and generously poured drinks in South America. All your live sports from around the globe, if its not on TV we can stream it for you. Football, Rugby, GAA, American Football, Basketball, UFC, etc. With well informed agency staff happy to help out as much as possible, they offer great tours including trekking to Colca Canyon, Climbing El Misti volcano and lots more.. WARNING! Don't listen to taxi drivers who tell you we are full. If you made a reservation with us your bed will be there for you on arrival. 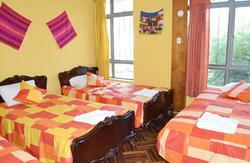 If you did not make a reservation, dont worry as we always keep some beds available for walk-ins. We are located 2 blocks from the main plaza right in the heart of the nightlife. Just tell your taxi: en el centro, entre San Francisco y Jerusalen. WARNING: Do not listen to taxi drivers who tell you we are full.